Spotted in a post over on TechCrunch last week was the new Google function to create QR Codes from shortened URLs. This is clearly Google adding functionality to ‘own’ all mobile search/scan traffic, but actually it’s not really an issue if QR Codes really are adopted by brands. I include them in social media workshops where appropriate as they are so relevant to local search, since that is the logical progression of the majority of search. If you want to see how this works, click goo.gl/wWfa and you will get to my website (on a smartphone you will automatically see a mobile version of the site). 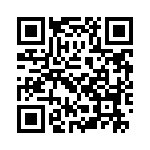 However with the addition of .qr like this: goo.gl/wWfa.qr you will see this QR Code that when scanned on your mobile takes you to the same place.